• Only the Good Stuff! Dogs naturally crave meat, much like they ate in the wild. That’s why every batch of Stella’s Meal Mixers starts with 95% (always grass-fed! 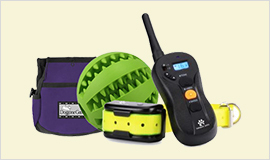 ), organs and bone plus 100% organic certified fruits and vegetables to guarantee your pet is eating as nature intended. 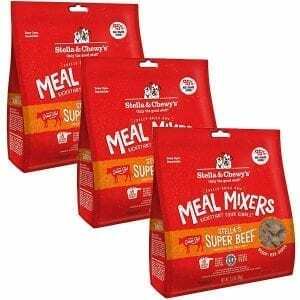 • Made in the USA – Stella’s Super Meal Mixer Kibble is an all-natural recipe is crafted with care in small batches in Stella & Chewy’s own USA kitchen to provide the highest levels of protein-rich meat and quality grain-free nutrition for your pet. Grain Free, Gluten Free, No Corn Wheat or Soy. 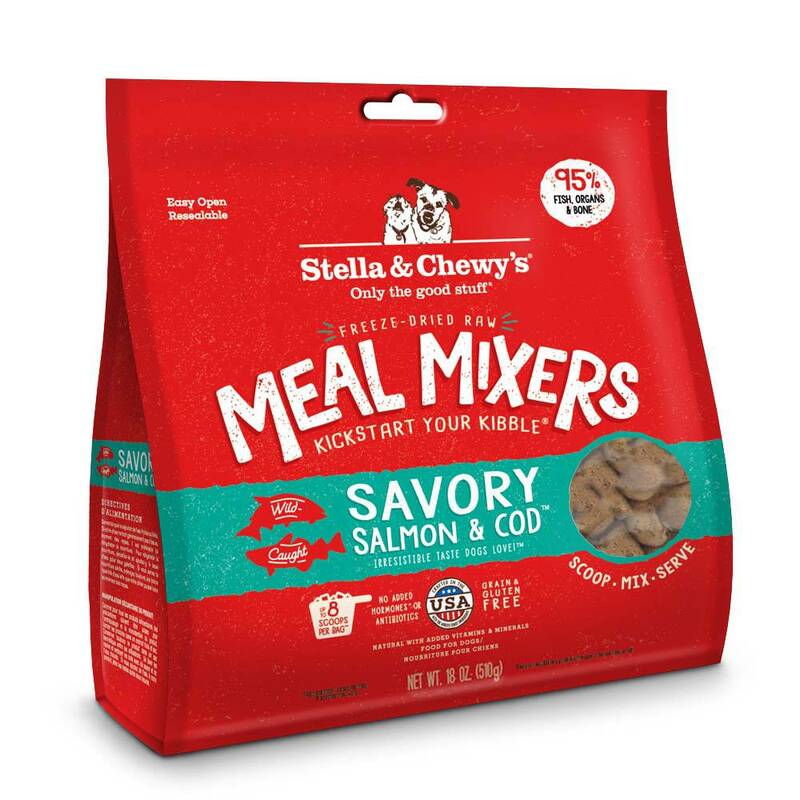 Stella & Chewy’s Freeze-Dried Raw Meal Mixers Kibble are all-natural raw meals that come in a shelf-stable, freeze-dried format that allows for all the nutrients of a biologically appropriate raw diet, without the hassle of thawing. 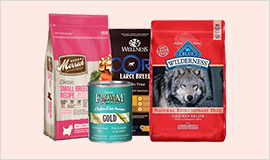 Your dog will enjoy the wholesome flavor and health of naturally raised meat, poultry, or fish from USDA inspected facilities, as well as the organic fruits and vegetables, including carrots, cranberries, broccoli, and beets. 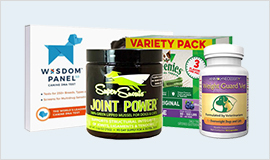 Every pet parent wants wholesome, natural nutrition for their pet. 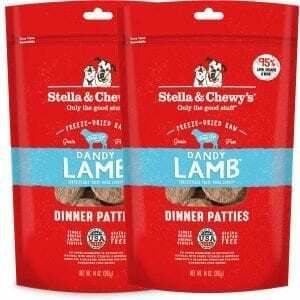 Stella & Chewy’s raw diets focus on pure ingredients and raw protein so you can feed them as nature intended. 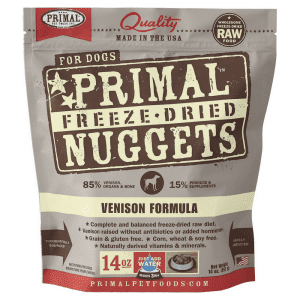 Made from sustainably-sourced ingredients and raw, single-source protein, this recipe starts with 95% cage-free chicken, organs and bone, plus 100% certified-organic fruits and vegetables—offering the benefits of raw food nutrition with the convenience of freeze-dried preparation. And to ensure the highest quality, each batch is made with care in Stella & Chewy’s own U.S.-kitchen. 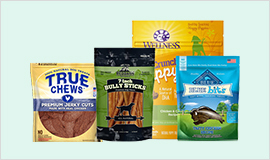 Each protein is grass-fed, cage-free or wild caught to guarantee your pet is eating as nature intended. All of the produce in our recipes are 100% organic certified, grown by farmers we trust. Our all-natural recipes are crafted with care in our own USA kitchen to provide the highest levels of protein rich meat and quality grain-free nutrition for your pet, as if they were in the wild. 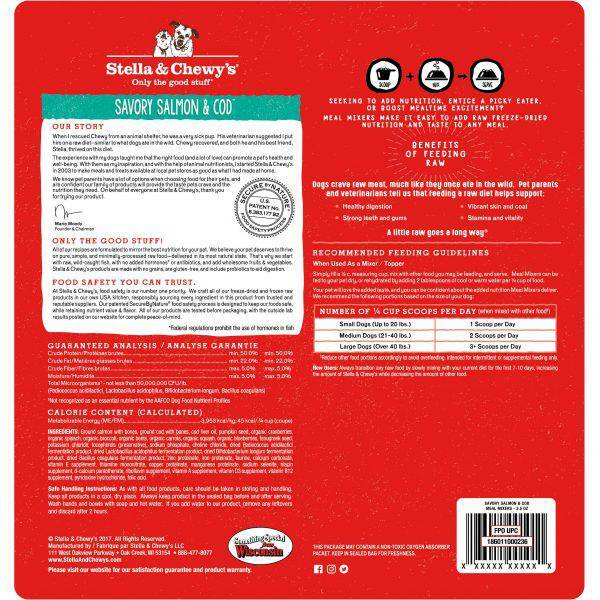 In the Stella & Chewy’s kitchen, they take time to craft each recipe in small batches from the world’s finest ingredients. 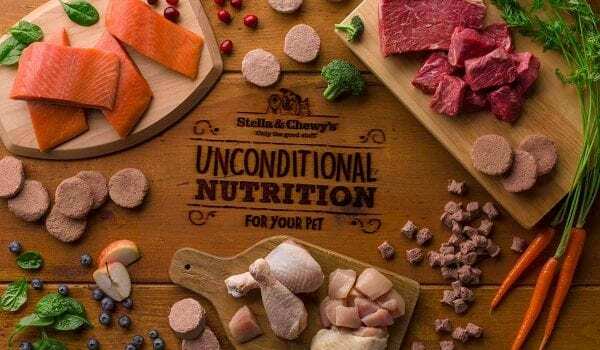 Each Stella & Chewy’s recipe contains limited ingredients, is minimally-processed and carefully crafted to best replicate a raw diet as nature intended. Our dinners are 90-95% meat, organs & bone with animal proteins that have No added hormones or antibiotics. And every recipe is grain-free. Made with cage-free chicken raised without hormones or antibiotics and 100% organic-certified fruits and vegetables. We only use quality ingredients responsibly sourced from farmers and ranchers that are recognized for their superior, human-grade quality ingredients and highest levels of food handling safety. Small batches of Meal Mixers are proudly hand crafted with care in Stella & Chewy’s own USA kitchen. 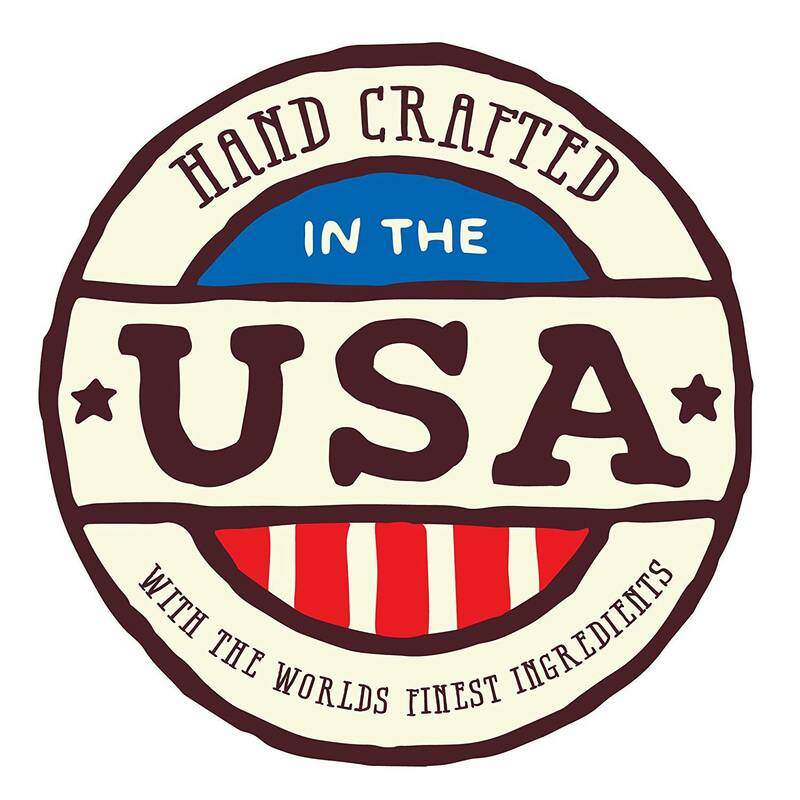 Proudly made in the USA with ingredients responsibly sourced from trusted and reputable suppliers. This commitment assures for the best quality products and highest levels of food safety. Fill the pre-measured scoop once for small dogs, twice for medium dogs, and even more for larger pups. 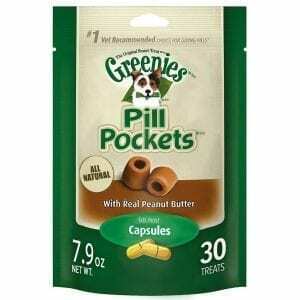 Just like the name says, mix it in with your pet’s usual food—it works with both wet and dry. New Formulation: Beef, Beef Liver, Beef Kidney, Beef Heart, Beef Tripe, Beef Bone, Pumpkin Seed, Organic Cranberries, Organic Spinach, Organic Broccoli, Organic Beets, Organic Carrots, Organic Squash, Organic Blueberries, Fenugreek Seed, Potassium Chloride, Dried Kelp, Sodium Phosphate, Tocopherols (Preservative), Choline Chloride, Dried Pediococcus Acidilactici Fermentation Product, Dried Lactobacillus Acidophilus Fermentation Product, Dried Bifidobacterium Longum Fermentation Product, Dried Bacillus Coagulans Fermentation Product, Zinc Proteinate, Iron Proteinate, Taurine, Calcium Carbonate, Vitamin E Supplement, Thiamine Mononitrate, Copper Proteinate, Manganese Proteinate, Sodium Selenite, Niacin Supplement, D-Calcium Pantothenate, Riboflavin Supplement, Vitamin A Supplement, Vitamin D3 Supplement, Vitamin B12 Supplement, Pyridoxine Hydrochloride, Folic Acid. Simply fill a 1/4 c. measuring cup, mix with other food you may be feeding, and serve. 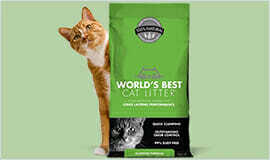 Meal Mixers can be fed to your pet dry or rehydrated by adding 2 tablespoons of cool or warm water per 1/4 cup of food. Meal Mixers meet the nutritional requirements to be fed as a complete and balanced meal for all adult dogs. To use as a meal, serve as is, or rehydrate by adding cool or warm water. If your dog does not regularly drink water at mealtime, we recommend rehydrating by adding 1/2 cup of water per 1 cup of food. If your dog prefers dry food, always have ample fresh water available at mealtime.